Dr. Carmen Ponton studied medicine at University of Puerto Rico, then she went to Allegheny General Hospital-Western Pennsylvania Hospital, University of Alabama Medical Center, and Baptist Health System to complete her residencies. She is a board-certified radiologist with great experience in the field of diagnostic radiology. 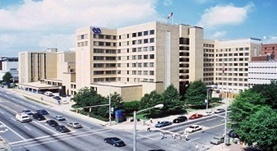 Currently, Dr. Carmen practices at Birmingham VA Medical Center.